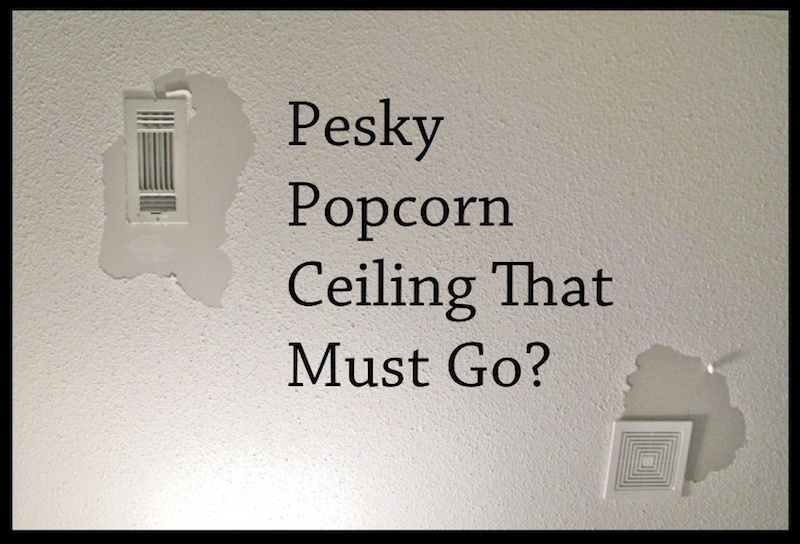 My bathroom ceiling had popcorn ceiling that was starting to peel off around the vents. I wasn't quite sure what to do about it. 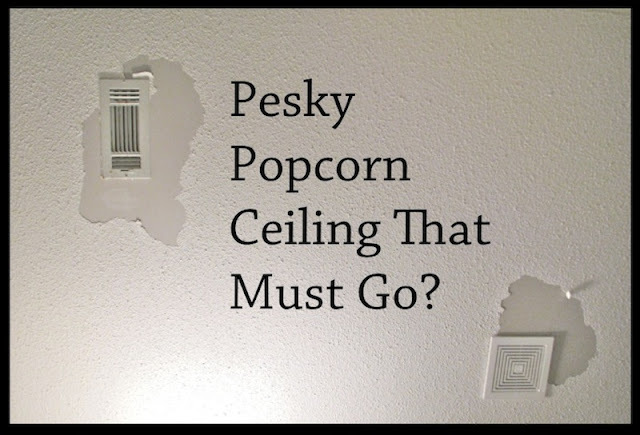 I started out by buying one of those "popcorn ceiling" cans that you can just spray on, but it just didn't seem to work like I expected. 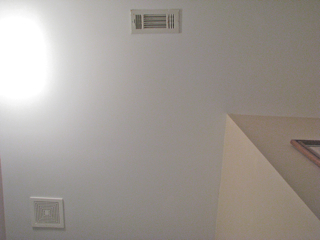 So, I decided I had to just remove it and paint the ceiling instead. 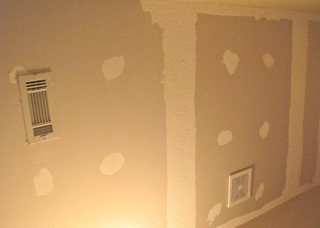 I started by scraping the popcorn ceiling. For this part, don't forget to USE GOGGLES to protect your eyes from all of those little particles. It was super easy for me to scrape because mine had not been primed underneath. Note: you will need to sand any primed portions or places where they smoothed out nails or seams, like the spots and stripes above. 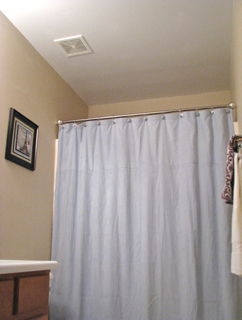 Last, paint your ceiling the color of your choice, and your ceiling will look amazing!! The Painted Bathroom Ceiling Looks Amazing. Hope Your Project is a Success! !